Matt Mikalatos: Interview with Wm. 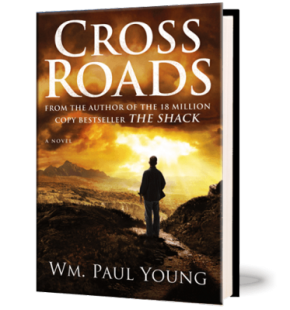 Paul Young, author of "The Shack" and "Cross Roads"
Interview with Wm. Paul Young, author of "The Shack" and "Cross Roads"
I am partway through Cross Roads by Wm. Paul Young. I should, honestly, be done with it by now, but I got a little distracted with writing my own book this week. When I'm in the middle of a project one of my "disciplines" is to only work on my own novel, and not read anything else for fun. The theory is, if I'm not having enough fun writing my own book, then maybe it's not good enough. Anyway, I should be done with Cross Roads very soon, and you can expect to see some thoughts here when I'm done. In the meantime, I thought you might enjoy this interview between my friend Paul Young and my friend Greg Horton. You may recall Greg from his guest post here a while back. He's a (former) pastor and (former) Christian who has a lot of insight into religion and understands Evangelical culture from an insider's perspective. He often has great questions and thoughts for us to consider. If you don't know Paul already, he's the author of The Shack and probably one of the friendliest, kindest, most generous people I know. This is possibly because he was born in Canada, but nevertheless, I love the guy. So, there you go. An interview between two guys I find enjoyable, challenging and interesting. I think you'll enjoy them as well. I'll report back when I finish the book!